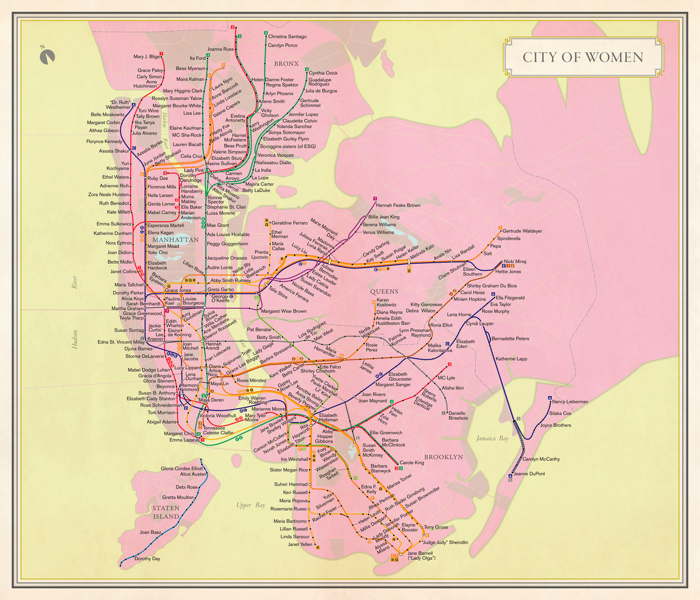 NYC Subway Map Redesigned as a City of Women #ArtTuesday « Adafruit Industries – Makers, hackers, artists, designers and engineers! The New York City subway map is the one map that nearly everyone in the city consults constantly; it is posted at nearly every station entry and on every platform and subway car. The station names are a network of numbers and mostly men’s names and descriptives, but the map is an informational scaffolding on which other things can be built. So on it we have built a feminist city of sorts, a map to a renamed city.